Two months ago, four proposals for reforming government roles and responsibilities in schooling were leaked from the Abbott Government’s federalism taskforce’s confidential Green Paper. The most talked-about option involved the Commonwealth taking over the funding of all schools, and potentially charging parents fees for public schools, while the states would continue to do everything else in schooling. Understandably, this provoked national outcry and valuable discussions about Australia’s growing inequities, the nature and importance of public education, and the broader purposes of schooling for individuals and the nation. But this particular option is the least likely to be adopted. The other three options from the federalism taskforce hardly made it into the public domain. This absence of scrutiny is worrying. The Melbourne School of Government subsequently commissioned me to write a report assessing all four reform options proposed. I assessed each option against the six criteria put forward by the federalism taskforce. I also considered political feasibility, desirability and constitutionality. States and Territories responsible for funding public schools and the Commonwealth responsible for funding nongovernment schools. States remain responsible for delivery education in government schools and the regulatory framework for all schools. The Commonwealth is the dominant funder of all students on an equal and consistent basis, but States and Territories maintain other current responsibilities, including the regulatory framework for all schools and the provision of public schools. Option 1 (full state responsibility for schooling) is the clear winner, and has significant potential to improve schooling outcomes and equity. If schools and school systems only dealt with one level of government, it would make it easier for them to develop and implement coherent and responsive programs, and would make it easier for them to target funding and other resources to where needs are greatest. This arrangement already exists in Canada, which has a high-performing and high-equity school systems despite no federal department of education, federal minister or program involvement. However, the success of Option 1 is dependent on the states receiving an increase in revenue commensurate with the increased funding responsibilities, which is politically difficult. Option 3 (greatly reduced Commonwealth involvement) is the most likely proposal to be adopted. It offers the same potential benefits as Option 1, although to a lesser degree, and is likely to deteriorate over time. Option 2 (split funding responsibilities) will likely exacerbate all existing inequities and inefficiencies, without delivering any substantial benefits. Option 4 (The Commonwealth provides the funding but states do everything else) fails almost every criteria and would probably worsen outcomes, accountability and equity in Australia’s school system. Fortunately, it is also very unlikely. Stagnant or falling results in the national literacy and numeracy (NAPLAN) tests, persistent gaps in resources and school completion rates, and worryingly-high student disengagement indicate new approaches are urgently needed in education policy. It’s time we had a serious conversation about the intergovernmental reform options our state, territory and Commonwealth leaders are currently considering in the schooling portfolio. The consequences for young people and for the nation of failing to reform current arrangements and failing to build solid foundation and framework for our schools are dire. 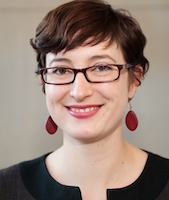 Bronwyn Hinz is a Research Fellow at the Melbourne School of Government and a Policy Fellow at the Mitchell Institute for Health and Education Policy. She is also in the final stages of a PhD which examines how federalism has shaped the reform of school funding policies at State and Commonwealth levels, which is jointly supervised by the School of Social and Political Sciences and the Melbourne Graduate School of Education, at the University of Melbourne. She has previously worked for the Education Foundation, the Ethnic Communities’ Council of Victoria, two federal politicians, and the University of Melbourne, where she taught public policy making and Australian politics. She has been a Visiting Scholar at Teachers College, Columbia University in New York City, where she undertook comparative research on intergovernmental institutions, school funding and education policy-making in the United States and in Canada. News report about the leaked Green Paper “options”. The failure of Australia at all levels of government to implement a coherent and responsive set of practices in the area of education is a testament to ongoing fragmentation. This tautology nevertheless applies to almost all areas of concern to both levels of government and the future of the country from health to infrastructure to transport to the future of cities and industrial relations to taxation and housing and the future of work in the face of advances in robotics. And climate change. And climate change. States jealously guards their perceived territory and the Commonwealth seeks to retain what it sees as a responsible financial position. Addressing the problems of vertical fiscal imbalance meaningful policy is sacrificed to a puerile grab for power. In education, that there is a wish for uniform practices across all domains is demonstrated particularly by the demands for national standards of accountability: the response was NAPLAN and a national curriculum. That means Commonwealth involvement. Eight years after their introduction standardised testing has not resulted in any marked improvement and the curriculum is still being interfered with based on no sensible consideration. Meanwhile teaching methods such as Direct Instruction which diminishes creativity is being mandated federally by an education minister sadly lacking any demonstrable understanding of the last 50 years of education research or the experience of other countries. How will the source of funding affect this? Bronwyn Hinz maintains devolving all funds to the states will be preferable because the states are closer to the action. (Having local government do it is of course not proposed because of the constitution.) The evaluation used to arrive at this is qualitative and has regard to the literature of reports and opinions. Fine as far as it goes. The aim of the exercise is better educational outcomes: the question is whether the source of funding is critical. The options evaluated are part of a so-called Federation Reform. The same questions of who has financial responsibility are being addressed in respect of many policy areas including health, another area where political philosophy trumps evidence. The point is that addressing the future of Australia as a Nation simply by examining financial responsibility ignores the fundamental issues which have continued to plague the country and placed those who believe they know about money in charge in preference to those who know about the issues! It is irresponsible and a farce. Whilst the states may be closer to the action there is no guarantee that they are better informed or, even if they are, that the politicians will respect that. And that is the issue. If the states can do better we should expect to see better results. We don’t. Like the US but perhaps unlike Canada where good results have been achieved in Ontario and Alberta through cooperation with teacher unions and intense community involvement. In Australia over the last decades politicians responding to certain constituencies driven by certain views based on their political and economic philosophy have interfered. Catholic schools gained government support related to the Labor split, independent schools gained Commonwealth funding because John Howard believed public schools were failing: lack of evidence and very dodgy use of socioeconomic data didn’t bother him. The result was further complication. The problems of government intervention are not resolved by determining that one government should prevail. The problem is government involvement itself which amounts to centralised control. Centralised control of complex matters doesn’t work, something that politicians in many domains simply refuse to accept. The most significant role governments can play is to ensure application of best practice. That includes ensuring clear identification of the problems and options and application of the best thinking and the best people. That is what has not happened. Governments in Australia, as in the US especially but also in the UK, New Zealand and some other countries have refused to accept that it is not teachers that are the problem, though superior performance is vitally important. The jurisdictions where school education is successful trust teachers, ensure cooperation and good relations with the community and many other things. They also support early childhood education (which Australia funds at a level close to the worst in the OECD) and extra attention to disadvantage. That happens in Finland and several European countries. In Australia we have a government that refuses to do that advised by people who proclaim irrelevance of such issues. Go to reports on the status of children to see the results. There is no reason whatsoever why Commonwealth and state governments can’t profitably work together. Indeed Hinz admits as much in her comments on Option 3 (reduced Commonwealth funding but no structural change). It takes commitment and recognition of shared common futures. What gets in the way is political arrogance and dominance of political philosophy. The Mitchell Institute, with which Hinz is associated, has recently produced two very good reports focusing on what will make a difference and they join a huge literature from the last several decades. Unfortunately, as in the US as remarked on by Finish expert Pasi Sahlberg in respect of the US, Australia risks producing very good research and implementing poor practice! Especially in recent times, following the election of the Abbott government, the obsession has been with economic issues, and the wrong ones at that. In the face of noisy objections to the government’s irresponsible abandonment of the Gonski proposals passed into law in the dying days of the last government, the Commonwealth retreats to economics. It is entirely unhelpful. And that’s being very polite indeed. The future of the Nation and the next generation are being sacrificed. Bronwyn Hinz correctly identifies uncertainty about future recurrent income streams to the states to fund education as a brake on the stability of the latter to achieve results. And she identifies the way funding uncertainty distracts from school priorities and have no tangible or measurable result. The grants of powers to the states in the US, notably in respect of the No Child Left Behind policy, let some states simply ignore the Federal Government’s intentions as in other areas most especially the implementation of the Supreme Court’s judgement in Brown vs the Board of Education. It seems impossible to prevent things going off the rails however. As we see with arguments over funding of Indigenous programs in the Northern Territory the Commonwealth funding intended to deliver gains to Indigenous people won’t be hypothecated for fears of breakout of conflict over relative rights which might flow to states generally. Genuine need seldom gets considered: instead states are exhorted to live responsibly within their budgets just as government agencies at both levels are. Buck passing. Hinz rightly identifies funding for chaplains and Direct Instruction as unhelpful. As so many commentators have made clears, electoral populism and ideology have to be overcome by clears and well-founded policy capably promoted through an overarching narrative. Dream on.